Campaign for the American Reader: Pg. 99: Nick Jans's "A Wolf Called Romeo"
Pg. 99: Nick Jans's "A Wolf Called Romeo"
Featured at the Page 99 Test: A Wolf Called Romeo by Nick Jans. No stranger to wildlife, Nick Jans had lived in Alaska for nearly thirty years. But when one evening at twilight a lone black wolf ambled into view not far from his doorstep, Nick would finally come to know this mystical species—up close as never before. A Wolf Called Romeo is the remarkable story of a wolf who returned again and again to interact with the people and dogs of Juneau, living on the edges of their community, engaging in an improbable, awe-inspiring interspecies dance and bringing the wild into sharp focus. At first the people of Juneau were guarded, torn between shoot first, ask questions later instincts and curiosity. But as Romeo began to tag along with cross-country skiers on their daily jaunts, play fetch with local dogs, or simply lie near Nick and nap under the sun, they came to accept Romeo, and he them. For Nick it was about trying to understand Romeo, then it was about winning his trust, and ultimately it was about watching over him, for as long as he or anyone could. Written with a deft hand and a searching heart, A Wolf Called Romeo is an unforgettable tale of a creature who defied nature and thus gave humans a chance to understand it a little more. 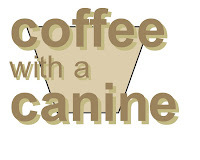 Read--Coffee with a Canine: Nick Jans & Chase, Brisa, Loki and Sal. The Page 99 Test: A Wolf Called Romeo. Pg. 69: Katherine Harbour's "Thorn Jack"
What is Taylor Jenkins Reid reading? Pg. 69: Karen Keskinen's "Black Current"
What is Katherine Harbour reading? Pg. 99: Charli Carpenter's "'Lost' Causes"
Pg. 69: Kim Church's "Byrd"
Pg. 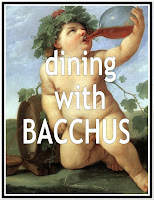 99: Nancy Sindelar's "Influencing Hemingway"
Pg. 69: Meg Gardiner's "Phantom Instinct"
What is Erin McCahan reading? Pg. 99: Molly Tambor's "The Lost Wave"
Pg. 99: Mike Stobbe's "Surgeon General’s Warning"
What is Kim Church reading? Pg. 99: Toby Wilkinson's "The Nile"
What is Marie Manilla reading? Pg. 69: Laura Benedict's "Bliss House"
What is Jonathan Holt reading? Pg. 69: Alafair Burke's "All Day and a Night"
Pg. 99: Clare Huntington's "Failure to Flourish"
Pg. 69: Jonathan Holt's "The Abduction"
What is Jason Goodwin reading? Pg. 69: K. V. Johansen's "The Leopard"
Pg. 99: Chiara Bottici's "Imaginal Politics"
What is Chevy Stevens reading? Pg. 69: Kate Quinn's "The Lion and the Rose"
What is Mark Troy reading? Pg. 69: Chevy Stevens's "That Night"
Pg. 69: Mark Troy's "The Splintered Paddle"
What is Daniel H. Wilson reading? Pg. 99: Thom van Dooren's "Flight Ways"
Pg. 69: Rebecca Hahn's "A Creature of Moonlight"
What is David Pilling reading? Pg. 69: Gary Corby's "The Marathon Conspiracy"
Pg. 69: Rachel Toor's "On the Road to Find Out"
Pg. 69: Daniel H. Wilson's "Robogenesis"
Pg. 99: Stephen J. Davis's "Christ Child"